This month was very busy! We had to make, glaze, fire, package and tag all of the pots for orders, which we managed in time. Working towards an order is really good practise because you have to plan ahead for all of the stages and make sure there will be enough pieces to account for any losses. 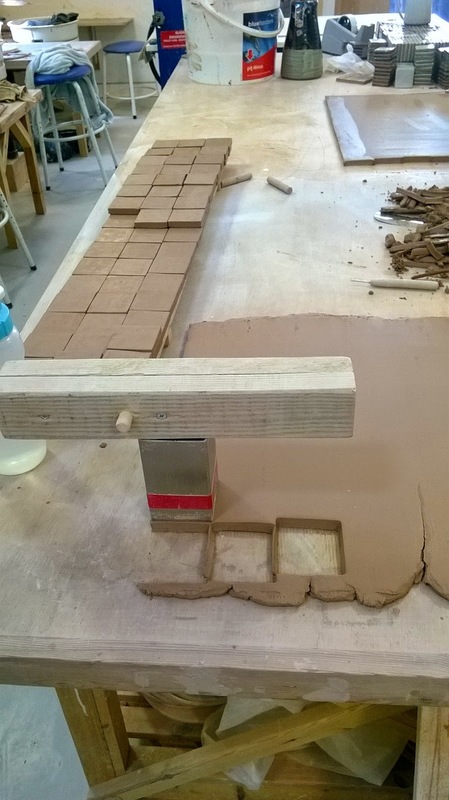 We made 1000 tiles to put in to the floor of new shops that open, so that involved a lot of cutting out and glazing very small tiles. 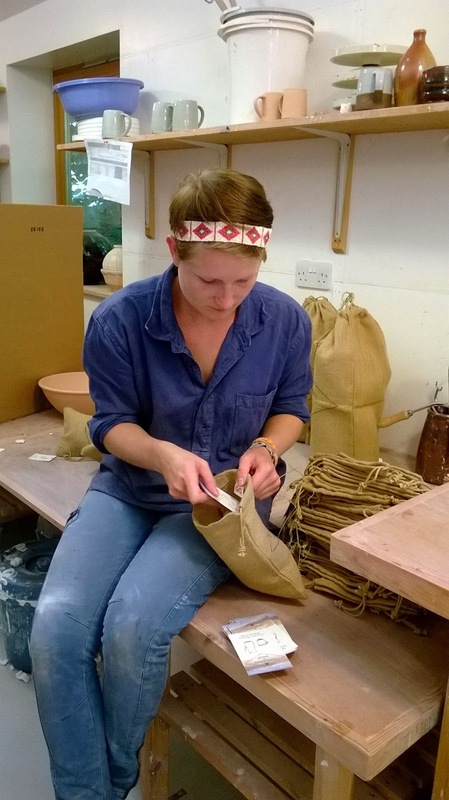 We had a production line for the packing of pots, to make sure we didn't miss any stages. We fired the soda kiln this month because somebody had ordered some soda fired pots. I managed to put some pieces in the firing, which was good to see how soda would work with my designs. Cornwall Deign Fair was also this month and the Leach Pottery had their own marquee with lots going on. 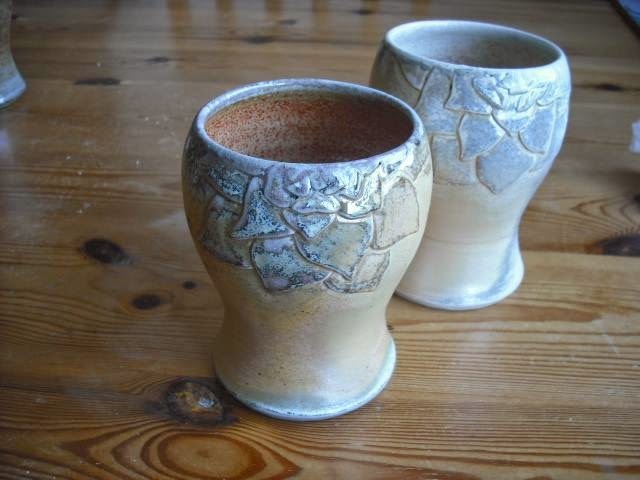 We did raku firings, throwing demos, children's workshops and selling pots. The event went well and it was good to see some other makers, some local and some visitors. Now we have had the next orders through, which will keep us busy for the whole of September, so we have all started working on those pieces. I am about to start making a different shape, the small bowls.